I remember Jabong being one of the few websites that sold Clothes online initially. The navigation is a breeze. You can search for what you want based on colors/styles too. 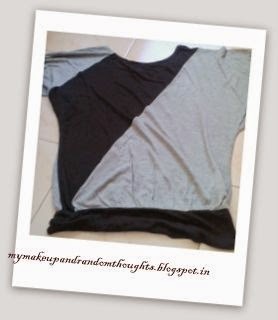 The site also features latest trends and Get the look sections. I like that the Jabong team takes efforts to come out with Look of the day and other hot trends. The delivery time is good.One can track the status of the delivery in the View Order tab. 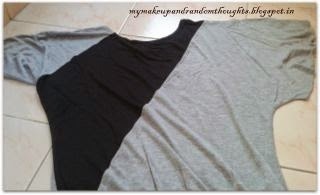 The top was delivered in perfect condition and the material is really soft. Jabong.com provides specifications for every item like material, wash, size that is really helpful while picking stuff online. I find the service really good. Jabong.com is definitely on top of my list for Online Shopping. What are you lusting after in terms of clothes this season ?